If your class is out of control, you are certainly not alone. Managing a roomful of rambunctious kids or hormone-driven teens is no simple task, and you can quickly lose control. During my rookie year of teaching, I knew that I needed to have good classroom control, but I simply didn’t follow through and let too many little things slide. And by October, I was having some major issues in my classroom. I remember trying to teach over the roar of students’ private conversations, knowing that this just isn’t how it’s supposed to be. And apparently something pretty rough was going on behind my back while I was at the board because I found myself having a chat with the principal about how I needed to muster my authority and start controlling my classes. It was discouraging and frustrating to realize that my classroom was not what I wanted it to be. But the wake-up call was timely and marked the start of my classroom turnaround. I would love to tell you that by the next week my classes were all orderly and on task, but that’s just not the case. It took time for me to figure out a good system, to gain confidence as a classroom manager, and to show the kids that I was going to follow through and hold them accountable. But things did improve, and when the next year started, I was good to go. You CAN gain control of you class. I won’t sugar coat it and say it’ll be an easy process. Growth is never easy, but it is most certainly worth it. Take a deep breath. 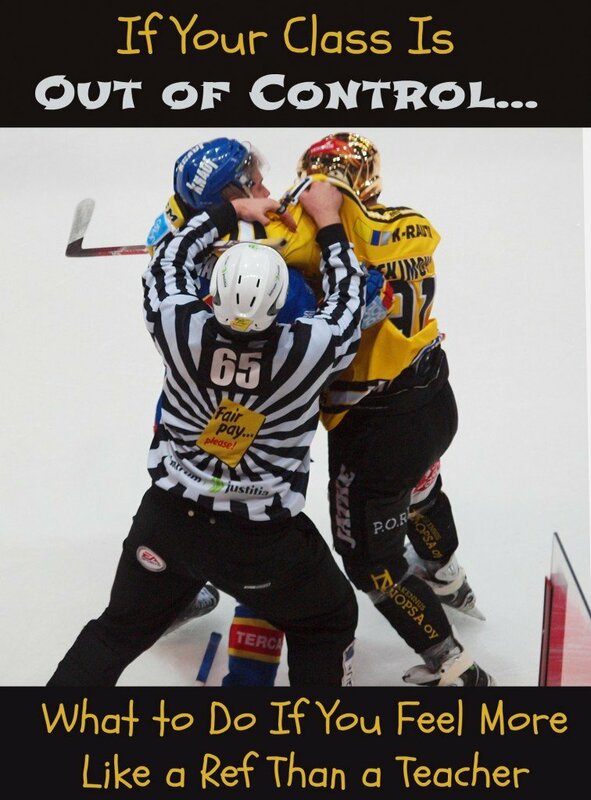 No, seriously, take a deep breath. Ready? Breathe in, breathe out. If your classroom is out of control you are probably freaking out, but take a minute to relax. It will be okay! You will get through this. You will improve. It will take time, but you will look back on this later and see how far you came. Don’t be discouraged. Seek advice. Talk to an administrator or a veteran teacher and get advice about your specific situation. Or, join our Facebook discussion group Christian Teachers’ Lounge. And if you want you through the process of developing and implementing a strong classroom management plan, consider joining our Classroom Management 101 program. Determine your expectations. Decide which student behaviors need to be corrected. Make a list of your expectations. Determine your consequences. While positive reinforcement is important and necessary, if your classroom is out of control, positive motivation alone will not correct that. You simply have to have consequences. Determine what the consequences will be each time a student fails to meet one of the expectations on your list. Force a reset. When you’re trying to correct problems mid-year, you’re fighting against bad habits that have become ingrained. Finding a way to create a bit of a reset can make it a lot easier to break the bad habits and start creating new ones. A classroom shake-up can be a great way to do this. Simply put, you do something that gets the students’ attention rather than just talking about how things need to change. For example, if students have been messing around during your scheduled trip to the water fountain, you can skip the stop. When they ask why, then you explain. We go into more details about how to create this type of reset in our free Classroom Management Minicourse. Address the very first problem. While you discussion may (or may not) get the students’ attention, it will not change anything unless you address the very first problem. It may be two seconds after the discussion or halfway into class. Either way, address the problem right away with your predetermined response. Stay consistent. The more consistent you are, the more quickly you will regain control. It won’t be easy, but you need to address every problem with your predetermined response. After a few weeks or months, you may be able to loosen up, but don’t let anything go until you’re confident that your class is under control. 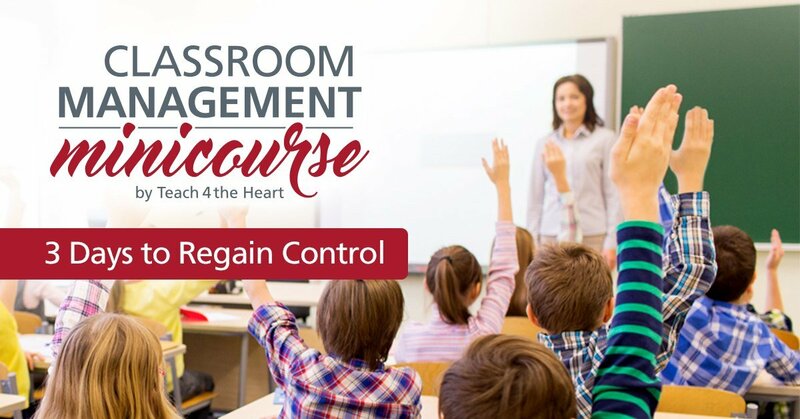 I hope these suggestions will get you headed in the right direction, but if you’re still wondering how to put it all together, please join us in our FREE Classroom Management MiniCourse, which will help you regain control in just 3 days. Click the link below to get started. 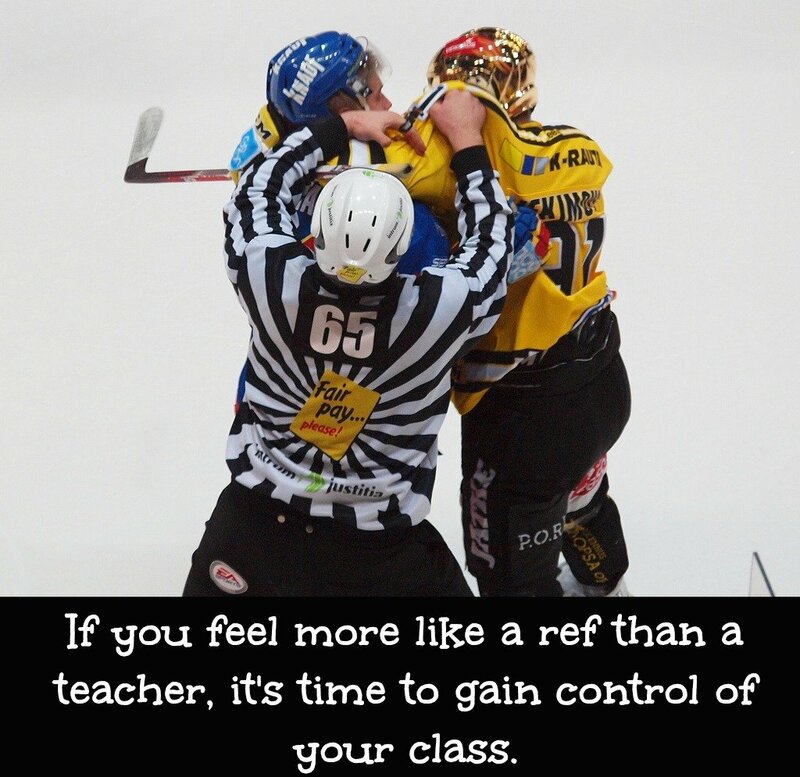 Start the FREE Classroom Management Minicourse. Good information but it lacks the relationship building piece that is critical to shifting that culture. I would enjoy hearing how you handled regular daily interaction with the students to help them feel invested in learning with you. I am a new teacher who just happened to have a particularly hard day. I needed to read this, and am thankful to you for sharing it. Thank you! I found it really helpful to try and determine the consequences if a kid doesn’t do what is asked of them. My son is starting school soon, and we are concerned that we won’t be able to obey his teacher. I am glad to know that a teacher will know what to do if a kid doesn’t obey them!